Kevin has walked us through the process of buying and selling properties for the last ten (10) years. Every occasion the transaction has been handled professionally from listing to closing. He and his team are experts still what they do and I would highly recommend them. Kevin Corcoran’s reputation for local knowledge and professionalism is well known in the Gulf Coast area so when we listed our home, Kevin and his team were our only choice. They made everything easy from coming up with a listing price, to staging our home, to answering our never-ending questions, to working through the listing, sale and settlement processes. We worked closely Dennis Corcoran and Domini Corcoran on Kevin’s Team and they responded promptly to our every request. We had total confidence in them and we highly recommend Kevin and his team for all your real estate needs. We liked them so much that not long after our house sold we decided to move to the Gulf Shores area permanently and bought another house through them! 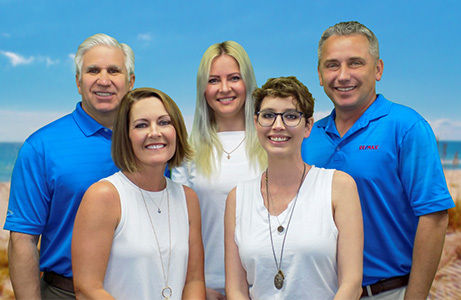 You can’t go wrong with RE/MAX of Gulf Shores. Local knowledge and integrity is the key. I was impressed with the knowledge demonstrated by Kevin Corcoran and his team. The staff is very knowledgeable and helpful, not just during the sale but also after the sale. Moved here in late 2011 and purchased my home in 2012. As someone brand new to the community, it was important to have someone who really knew the different neighborhoods and who knew what to look for in what is a very unique part of the country. They even went out in a bad storm to inspect the neighborhood streets of the house I was considering to report back to me on any flooding conditions (there were none), so they were thinking one step ahead of me and it was very helpful. They even have a moving truck their customers can borrow! Very happy customer here. Kevin and his whole team are a pleasure to work with, from the initial search and purchase to the sale of said purchase. He would work around my schedule to show me the homes that suited my criteria. I would highly recommend this team. They are very professional and had our best interest at heart. Our sale was very quick, and all paperwork was handled in a timely manner. Dennis Corcoran and Domini Corcoran helped us to purchase 4 homes in Gulf Shores, Alabama in a relatively short period of time. They were extremely courteous, professional and capable of all that was needed to accomplish these purchases. I would not hesitate to recommend them to anyone who needs any type of real estate services. They always made you feel like you were their only client (even though this was not even close to the truth). Excellent communication every step of the way. Photos and property presentation were also excellent. They make effective use of technology. They carefully reviewed all documents before presenting them to us. Very professional, very pleasant, and highly ethical. The entire team does an excellent job. They were recommended to us by another satisfied seller, and we would not hesitate to recommend them as well. Working with Kevin and his team makes the process of buying and selling a property actually enjoyable and low stress. Wonderful people that are hard working and have excellent experience. Thank you Kevin, Domini, Mackenzie and team! Amazing experience; professional, knowledgeable, courteous and quick. Had all the tools at our disposal, closed quick and with no stress. Highly recommended! If you are looking for an experienced Broker/Realtor, you can’t find a better person than Kevin Corcoran. His knowledge of the market, professionalism, honesty, and work ethic are truly outstanding. He is supported by an outstanding team who are dedicated to serving the customer. I can sincerely recommend Kevin and his team without reservation.